The Fairytale Princess Gown is made of a very nice baroque brocade fabric and is fully lined. The Fairytale Princess Gown is a one piece dress that closes with laces in the front and back to ensure a perfect fit. The Fairytale Princess Gown is great for Medieval Weddings, Renaissance Fairs and Medieval re-enactments. This main part of this dress is made with brocade fabric while the front accent panel is made with your choice of plain taffeta or royal velvet. 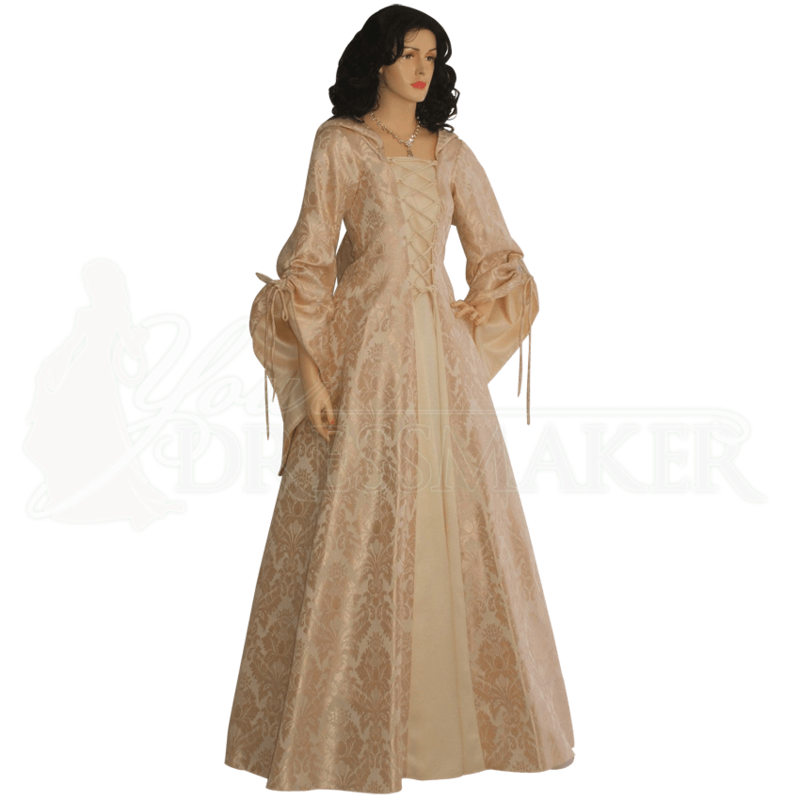 Made from your choice of brocade, taffeta, or velvet.